BrewFest 2019 - And the beat goes on! 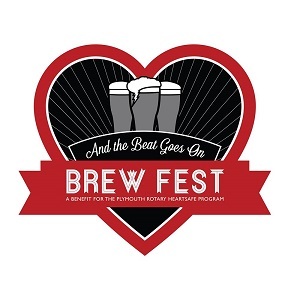 The third annual BrewFest will be 1-4 p.m. Saturday, April 6, 2019, at the Plymouth Creek Center, 14800 34th Ave. N. This is a fundraiser by Plymouth Rotary supporting Heart Safe Plymouth. The Brewfest will feature live music, and area craft breweries with their one-of-a-kind beers and hard ciders. Proceeds to benefit Rotary’s Heart Safe Plymouth initiative of educating and training for the treatment of sudden cardiac arrest by providing CPR and automated external defibrillator training to individuals and organizations in the community, as well as increasing the availability of AEDs throughout the city.